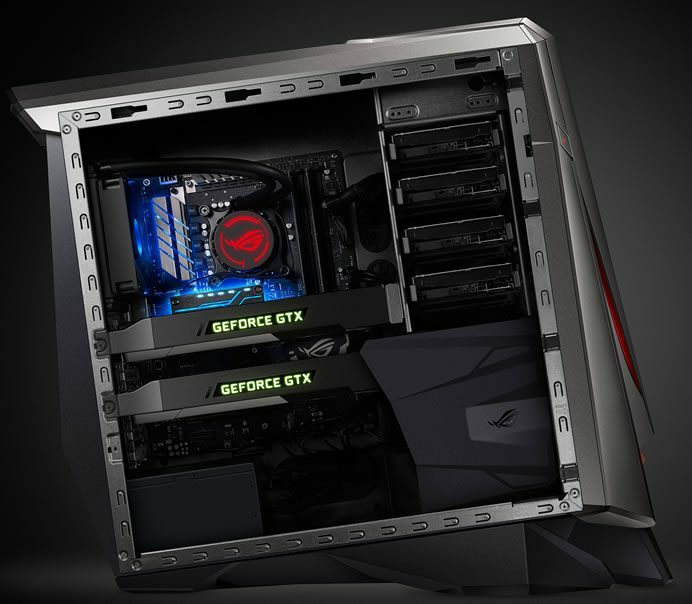 Asus Republic of Gamers (ROG) today announced GT51CA, a powerful gaming desktop powered by a 6th-generation Intel Core i7 processor, with Turbo Gear for one-click full-core CPU overclocking to 4.6GHz without having to reboot. ROG GT51CA supports up to NVIDIA GeForce GTX Titan X graphics with 2-Way SLI for smooth, stutter-free 4K UHD gaming at over 60 frames per second. ROG GT51CA also features up to two 512GB NVMe PCIe RAID 0 SSDs for data access speeds of up to 3.2Gbps — up to six times (6X) faster than SATA SSDs. ROG GT51CA’s DDR4 2133MHz memory has been even overclocked to 2800MHz for faster boot-up and game load times. 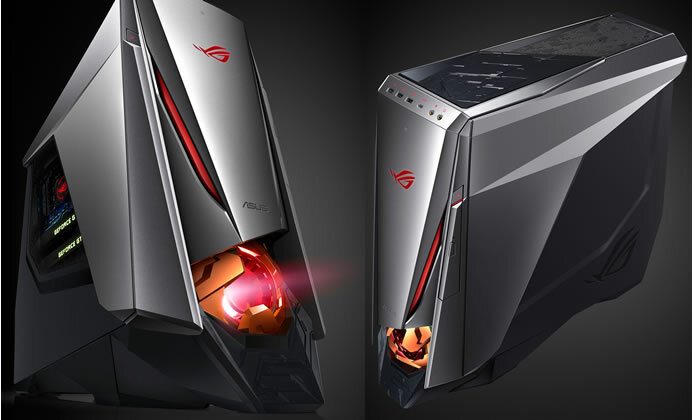 ROG GT51CA has a bold aerodynamic-inspired design with aggressive, sharp-angled polygonal edges, smooth surfaces, and a fully-functional turbine-like air intake on its front panel. The latter features a pulse-width modulation (PWM) fan that draws air into the cooling system. Inside, a carefully thought-out design ensures perfectly neat cable routing. ROG GT51CA is designed to impress, with dynamic 8-million-color LED effects in 4 zones across its chassis, and a preset OC lighting mode that is activated whenever the system is overclocked. ROG GT51CA delivers efficient heat management for stable high-performance gaming sessions. It boasts a multi-zone thermal solution that lowers the system’s internal temperatures by up to 31%, even during heavy-load marathon gaming sessions. ROG GT51CA features the liquid-cooled Hydro Overclocking System for the CPU and dedicated air channels to draw cool air into the chassis for the graphics card. In addition, its power supply unit — situated in the bottom corner of the chassis — also has its own isolated airflow design for cooling. All the buttons, audio jacks, ports including two USB 3.1 (Type-A and Type-C) ports, and the optical drive are streamlined in design and easily accessible. For the audiophile gamer, the audio jack on the front connects to an ESS Sabre headphone DAC (digital-to-analog converter) with an amplifier that delivers high dynamic range (DNR) and exceptional signal-to-noise ratio (SNR) for incredible sound whether in games, watching movies or listening to music. . 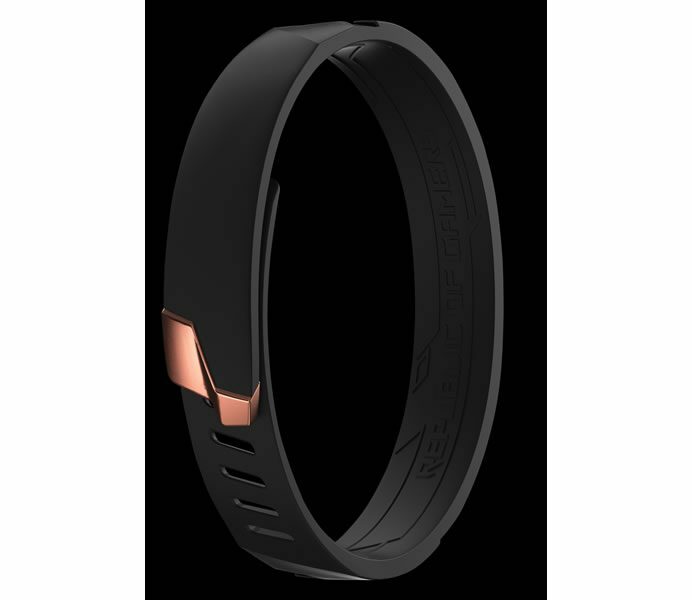 The wearable ROG BAND gives users access to Shadow Drive — a hidden hard drive space for managing personal and confidential data safely. ROG BAND can also be used to activate overclocking mode. The Asus-exclusive AEGIS II application lets gamers monitor system performance, record and edit gameplay with Gamecaster, and easily share their gaming experiences on social media. There is an optional NFC sensor at the front of the case for the ROG BAND or other NFC-compatible devices.